Tango! Or to be precise ‘London Tango’. The Romano Viazzani Ensemble give us an exciting preview of the music for their forthcoming album of the same name celebrating the capital’s relationship with the Argentine dance form as well as some of the most evocative and exhilarating original tango music from Argentina and around the world including works by Astor Piazzolla. With the finest musicians assembled from all over the planet and wonderful singers from the West End stage prepare to enter the sultry, shadowy world of London Tango. This is the first time that the ensemble will play at the historic Pizza Express Jazz Club in Soho even if all the musicians have played there many times before with other ensembles. In the heart of Soho you can enjoy a wonderful concert with cabaret-style seating whilst enjoying a pizza. What better way to spend a Sunday lunchtime. 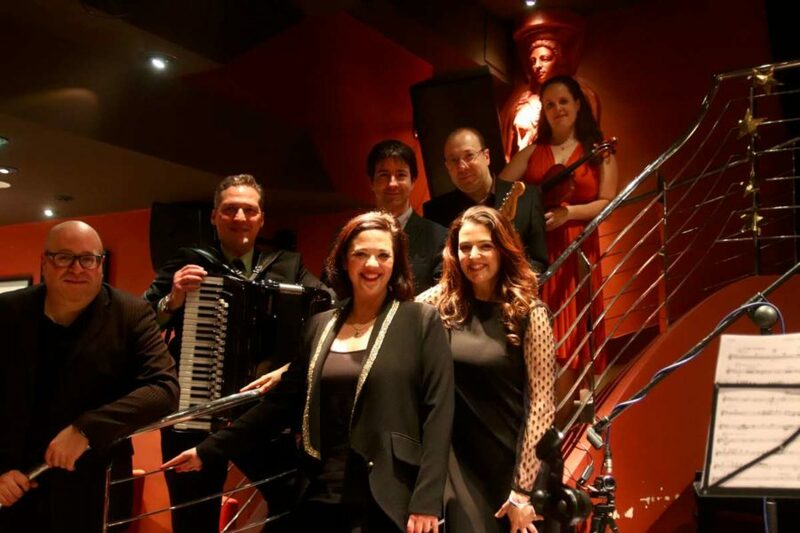 This entry was posted in News and tagged Argentine Tango, Corinna Hentschel, Gardel, Jacqui Tate, Joanna Strand, John Bailey, Jonathan Preiss, Piazzolla, Romano Viazzani, Yaron Stavi.